With the soaring popularity of CBD, new companies are being created all the time. Part of what we do at CBD School is trying out what these new companies have to offer, and then pass on what we find to you. Hempure, based out of Oregon, is one of these companies. And with a half-dozen products to choose from, we couldn’t wait to see how their CBD products stood up to others we’ve tried. Hempure was created to make a difference in people’s lives. Passionate about the healing benefits of CBD, Hempure created a line of what they say are “some of the finest CBD products available.” They’re also pursuing a mission of educating medical professionals and the general public about CBD and the endocannabinoid system. Hempure believes that by offering easy-to-understand educational information about the endocannabinoid system, that many of the modern health standards might change. 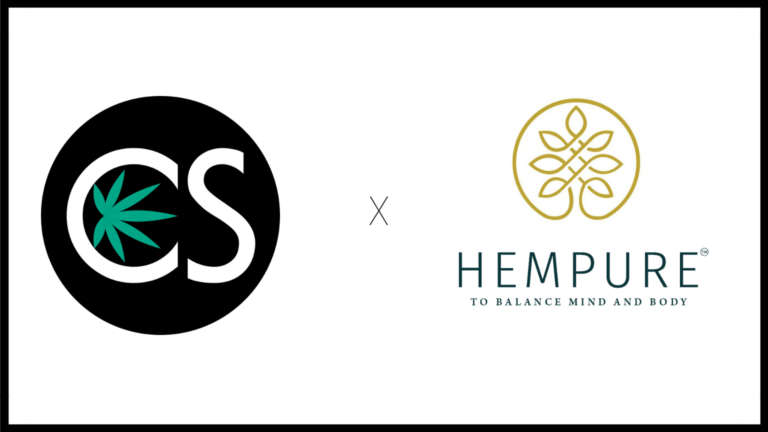 They’ve got quite a bit of information on their site, which we believe shows a commitment to their mission of educating more people about the ECS and CBD in general. On their website you’ll find their “CBD Library” which contains not only a link to their blog, but a CBD Guide with 10 chapters full of all kinds of information about CBD and the endocannabinoid system and a CBD Crash Course that contains a summary from each chapter of their guide and links to interactive quizzes in videos sent to your inbox over the course of 11 days. Hempure offers a line of six different products, each made with full spectrum CBD extracted from organically grown hemp cultivated in Colorado. While their products are made with full spectrum CBD, it is similar to broad spectrum CBD in that all trace amounts of THC have been removed while other beneficial components have been left inside. Like many other CBD companies, Hempure has a standard line of CBD products that includes: a tincture, capsule, edible, topical, pet product, and vape oil. 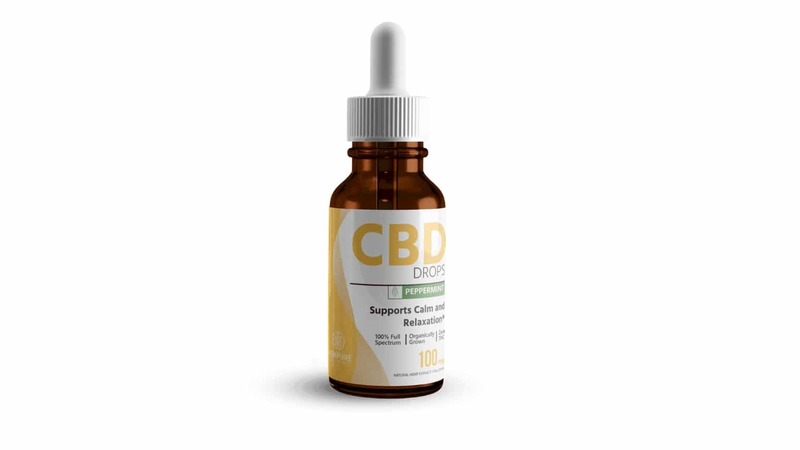 CBD Drops: Hempure’s CBD Drops come in four different sizes: 100mg ($19.99), 250mg ($39.99), 500mg ($66.99), and 1000mg ($119.99). We tried their 500mg size in lemon flavor (there are also options for no flavor and peppermint) and found the flavor to be very subtle, yet surprisingly refreshing. 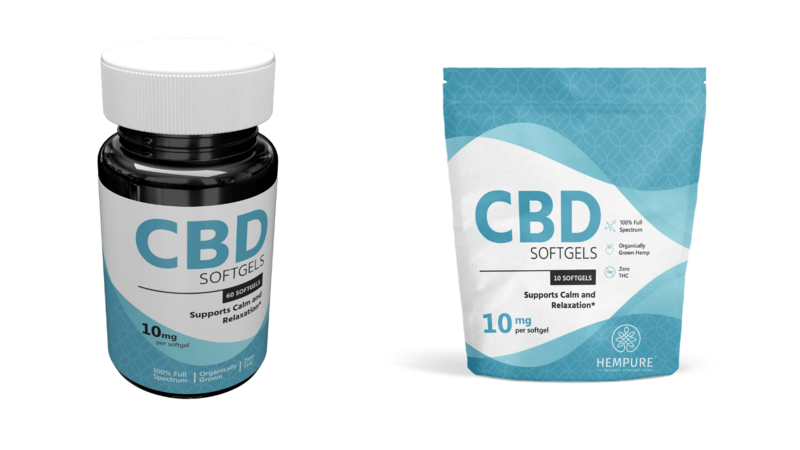 CBD Softgels: While we didn’t personally try Hempure’s CBD Softgels, we know from experience that softgels are an excellent option for individuals who want to get their CBD in the form of a familiar, ready-to-take supplement. Hempure Softgels are available in 10mg ($14.99-$54.99) and 25mg ($29.99-$99.99) and offer an easy way to get a consistent dose of CBD each day. We think it’s really cool that you have the option to get them in not just a bottle, but also a nice pouch! That’s the first we’ve seen of that. 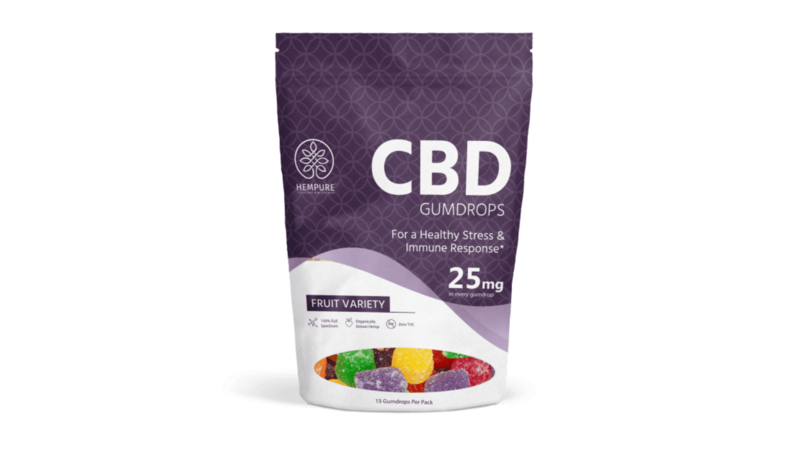 CBD Gumdrops: As far as gummies are concerned, gumdrops have always been our favorite regardless of whether or not they contain CBD. Needless to say, we couldn’t wait to try Hempure’s CBD Gumdrops ($59.99). Each fruit-flavored gumdrop contains 25mg CBD, and there are 15 gumdrops per pack. These gumdrops were a fun way to get a dose of CBD, but because of the sugar content they contain, we don’t know if we’d be apt to take them on a daily basis. Sugar and corn syrup are the first two ingredients…but they are gumdrops, after all. 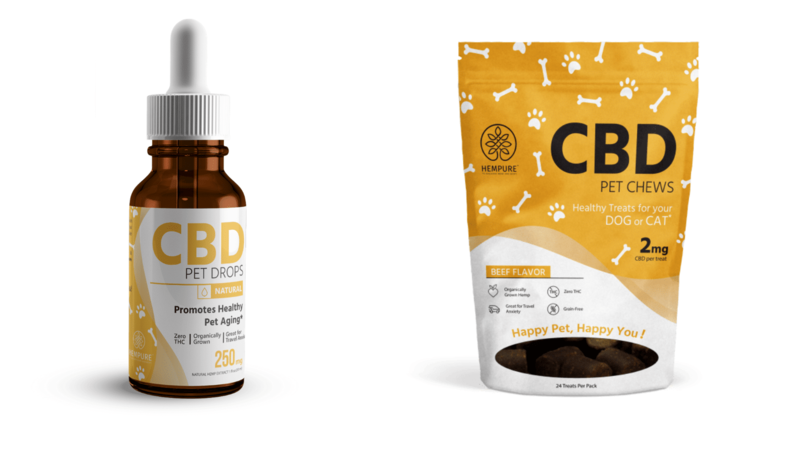 CBD for Pets: Hempure knows that people love their pets. That’s why they carry two CBD products for pets: CBD Pet Drops 250mg ($39.99) and CBD Pet Chews in a 24-pack and 48-pack ($29.99- $54.99). Our dogs loved the CBD Pet Chews, but we can’t tell you about the CBD Pet Drops because we didn’t try them. Did the pet chews benefit our dogs, personally? They didn’t say but did ask for more by sitting after the first one we gave them to make sure they would get a second. 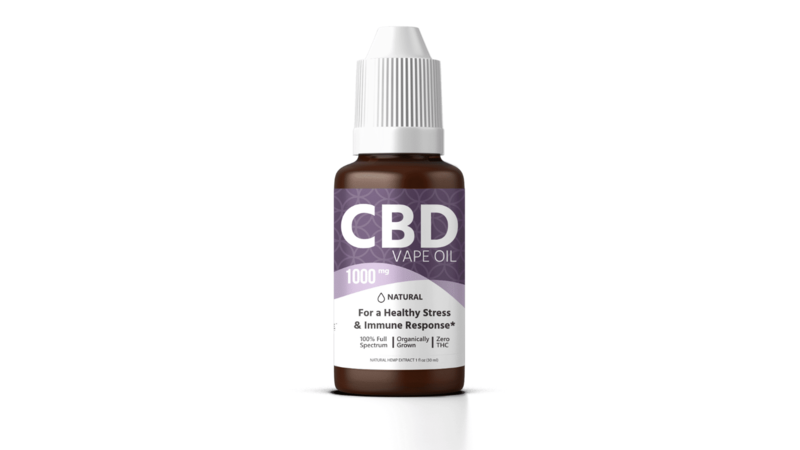 CBD Vape Oil: Hempure also offers a vape oil in several different options. They’ve got a 100mg ($19.99), 250mg ($39.99), 500mg ($66.99), 1,000mg ($119.99), 500mg Therapeutic ($74.99), and 1,000mg Concentrated Therapeutic ($139.99). This is another Hempure product we didn’t try, but do know that vaping CBD has shown to have some significant benefits of its own, most notable being the quick onset of effects from this delivery method. 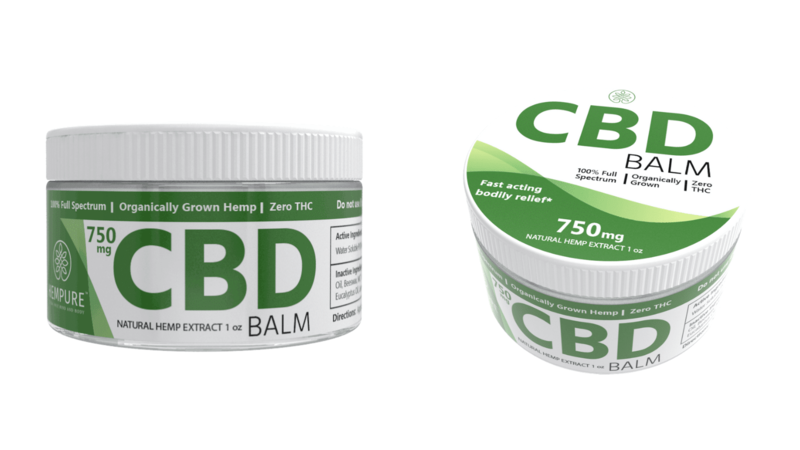 CBD Balm: CBD topicals are some of our favorite ways to harness the therapeutic benefits of CBD. Not only do we run, workout, and do yoga regularly, but we’ve got some old sports injuries that need a little extra TLC. We couldn’t wait to try Hempure’s CBD Balm, which is available in 750mg ($69.99) and 1400mg ($129.99). We weren’t disappointed in the slightest. We found the stubborn tension in our shoulders melt away. Chronic lower back pain was also noticeably reduced almost immediately after it was applied. For an emerging company, we think Hempure has done an excellent job getting their foot in the CBD space. The products we tried were comparable to other quality products we’ve tried in the past and the selection they offer is excellent both price-point wise and from a milligram perspective. One thing we love about Hempure is their commitment to quality and the third-party lab test results they readily offer to prove their transparency. With Hempure products, you know exactly what you’re getting each and every time. Test results are easily accessible on their website. To learn more about their test results, simply click here. We also love the fact that Hempure offers a 30 day money back guarantee, free shipping on all order over $99, and excellent customer support — all important factors in the CBD space. Hempure also gives you incentives to keep shopping with them by providing you points on your purchases. That’s always a good thing with a product like CBD since you’ll end up needing to resupply regularly. With thier beautifully designed website that is packed full of the educational information that is part of their mission and an array of quality-CBD products, Hempure is well on their way to becoming one of the bigger-known names in the CBD world. For now, they’re simply selling a product they believe in so they can make a difference in the lives of as many people as possible. Click here to try Hempure CBD for yourself today!